It's been a while since I make any tutorial. Actually, I've been thinking to post 2 blog post every week now. 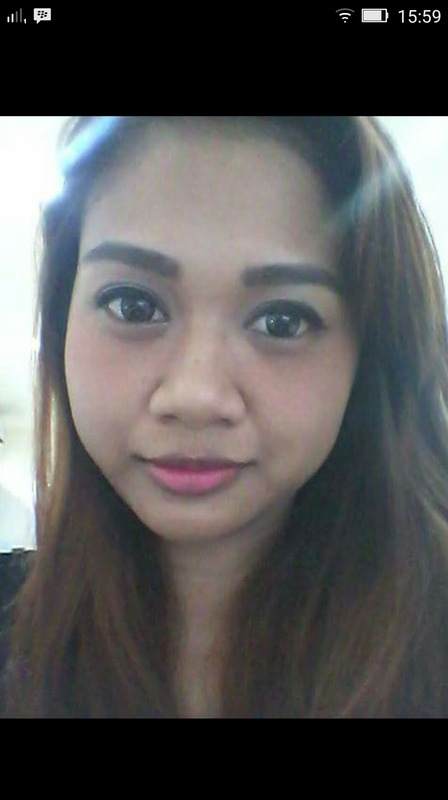 Wednesday for product review and Sunday for tutorial. But I don't know yet if I can keep up with that schedule or not. Well, I will just try to keep committed and post regularly. 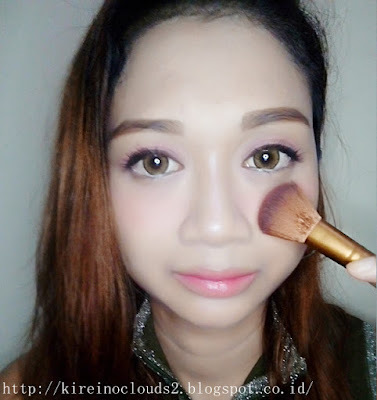 So today I will give you a mini tutorial for Japanese Igari make up or Hangover make up. 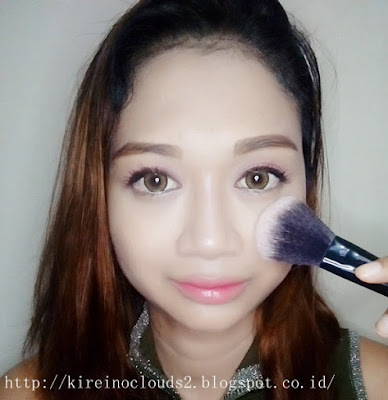 It's been very popular few years ago (2013 if I'm not mistaken) and nowadays I still see many Japanese model use this kind of make up. Personally I've been follow this make up trend since 2013 and still doing it occasionally now. You will need 2 Blush on brushes and 2 kind of blush on. 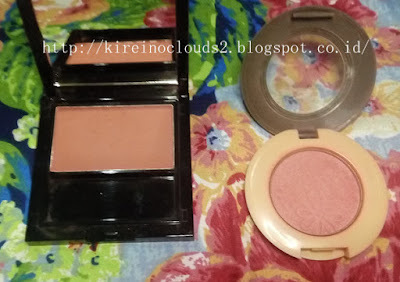 For blush on I use Elianto (shade: Tangerine) and Revlon (shade : Tawny Red). You don't have to use the exact same product like what I used. As long as you use similar color then the final result will be same. Elianto Tangerine is orange pinkish colour and it is matte blush on. Revlon Tawny Red is reddish pink colour and also matte blush on. 2. 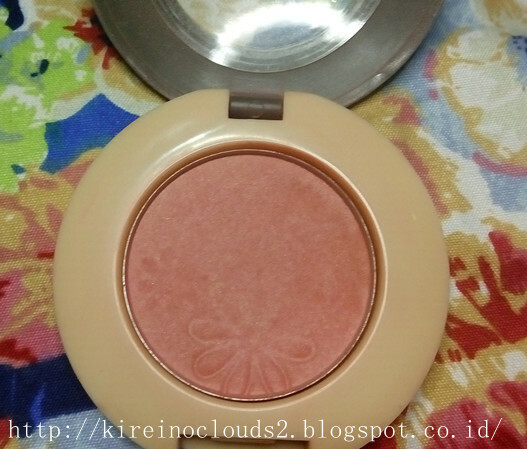 Use Elianto blush on at around upper cheek using big brush (circle no 1) and blend it. 3. 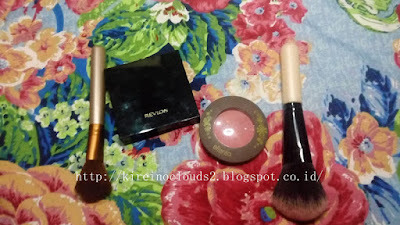 Use Revlon blush on using smaller blush on brush (circle no 2), pat into skin then blend. 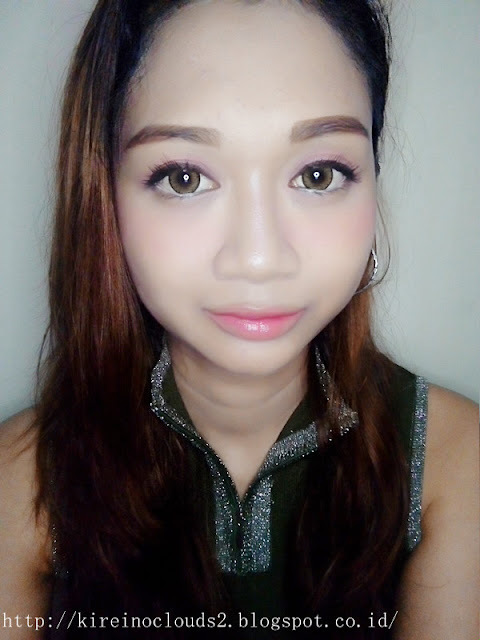 What I really like from this look are easy to do and quick. 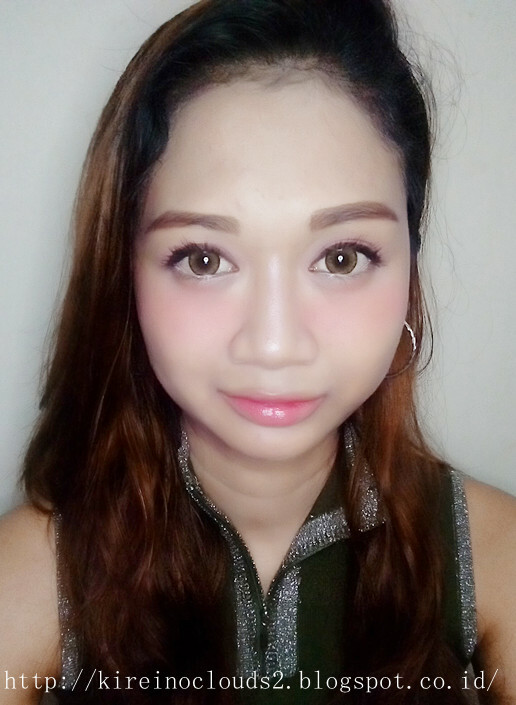 No contour needed, No crazy highliter needed (I use highliter only on my nose). But you still make you look fresh and dolly. I did extra for this look today by make a gradient lips. In real life, I'm not do gradient lips a lot. 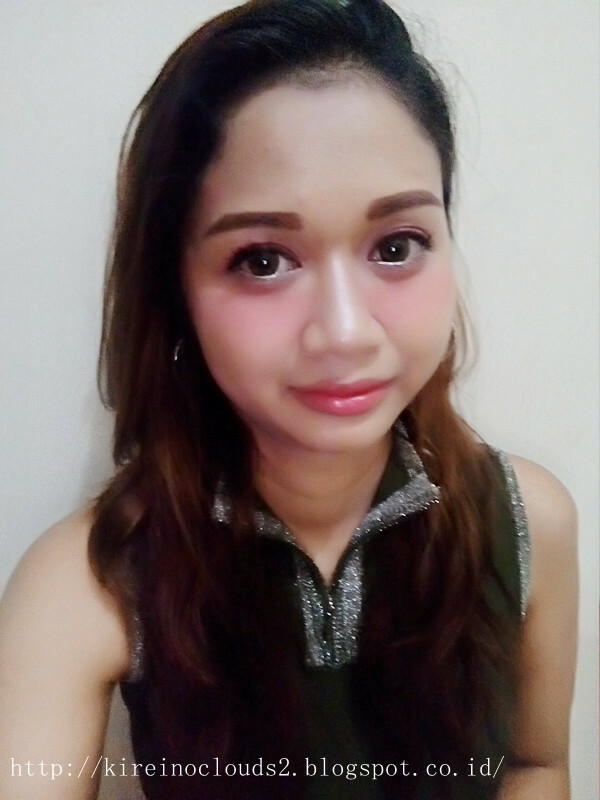 Usually I will just use lip tattoo or liptint + lipgloss. Easy peasy and more long lasting :). I know in picture my face seems lot more paler than my hand. 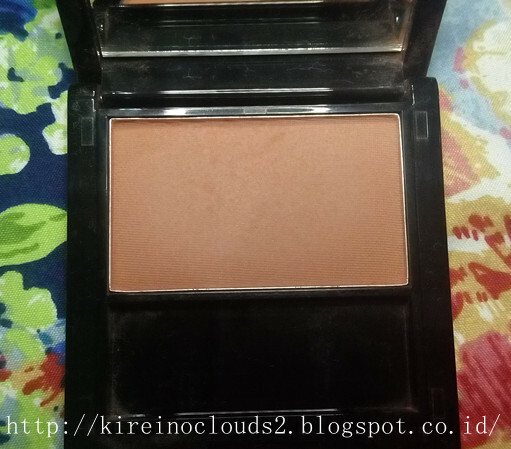 It seems like I choose wrong foundation shades. Actually in real life it is not the case at all. 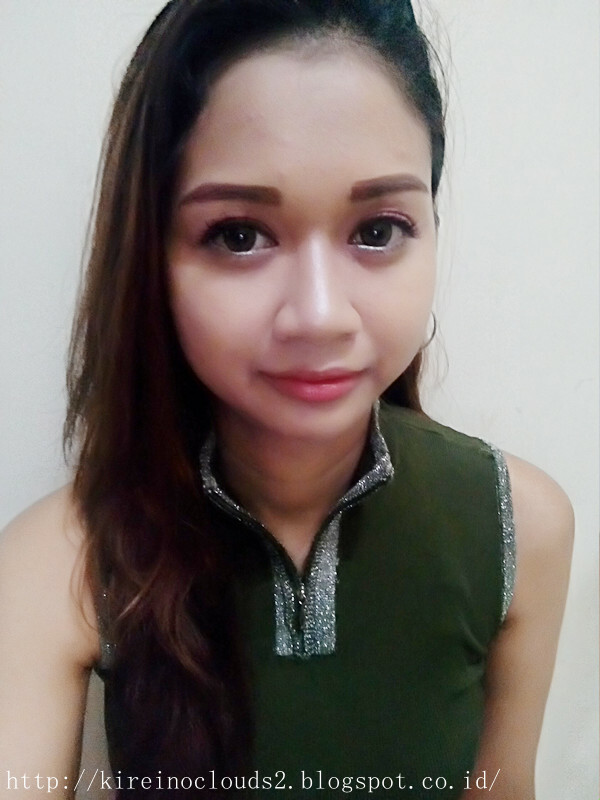 I used L'oreal True Match foundation and it always give me flash back like crazy. But in real life it totally look normal :p.
Anyway, I hope you enjoy my tutorial and my blogpost. I will back next wednesday with new product review. Thanks for come and read my blog ^^. 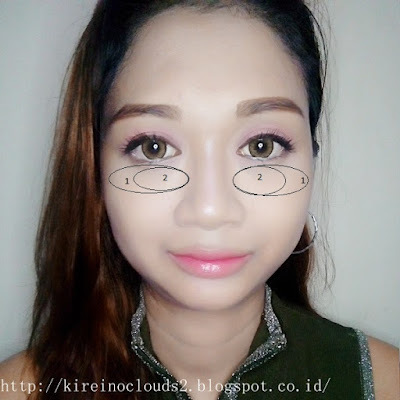 Aku suka banget liat hasilnya tapi kurang pede kalo diterapkan sehari hari takut disangka abis kena pukul hehehe...btw pake softlens apa ya? Warna cantik banget. hehe, emang klo buat sehari-hari kurang sesuai ya. 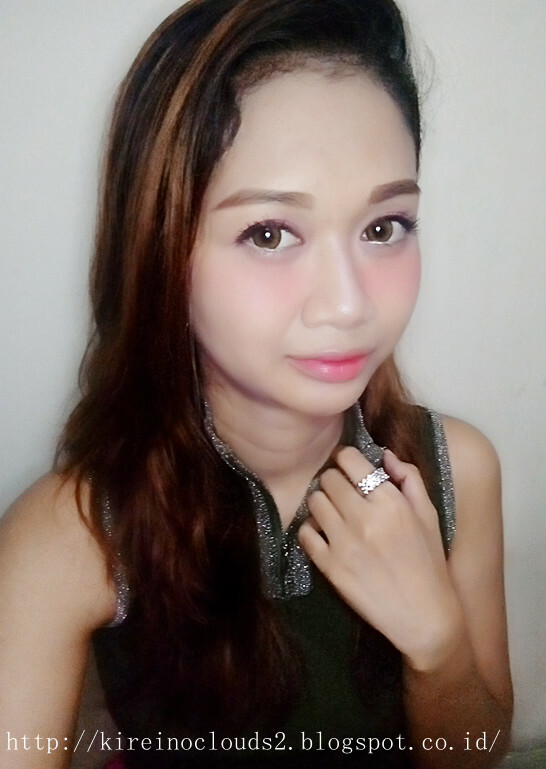 klo aku sih dasarnya cuek, gak peduli omongan orang (>.<).